Hey, it's January 2015, but we didn't get the chance to share all our fun photos from the end of last year. 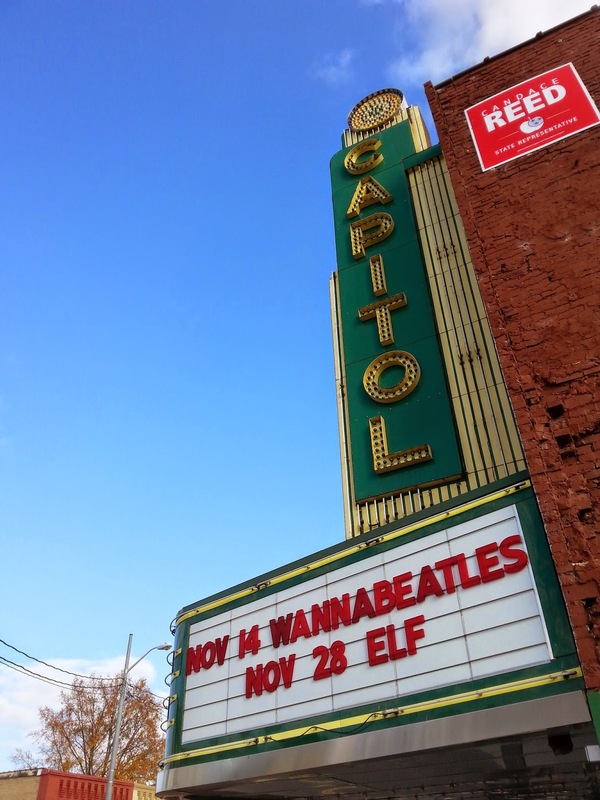 On Nov. 14, 2014 The WannaBeatles played at The Capitol Theater in Lebanon, Tennessee. The way the theater marquis looked as we arrived. Our show was booked and hosted by our friend Amy Harris, who attends church where WannaBeatle David works as worship leader. 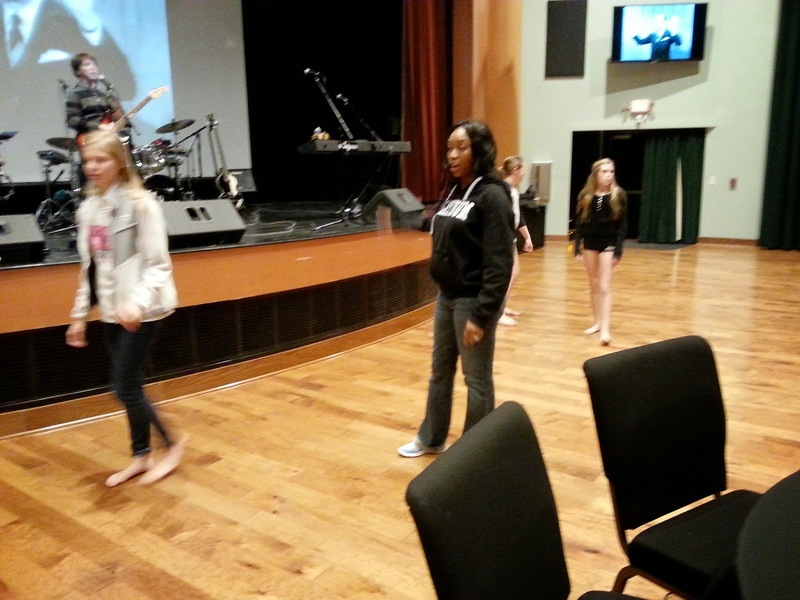 We had Lebanon's own Platinum Dance Company working with us, led by LaTonya Chastain. In our press release, LaTonya was quoted saying about the songs she was choreographing for her dancers, "This is the happiest music in the world." Thanks, LaTonya - we agree! Followers of this blog may have noticed occasional cell phone photos which are out of focus. 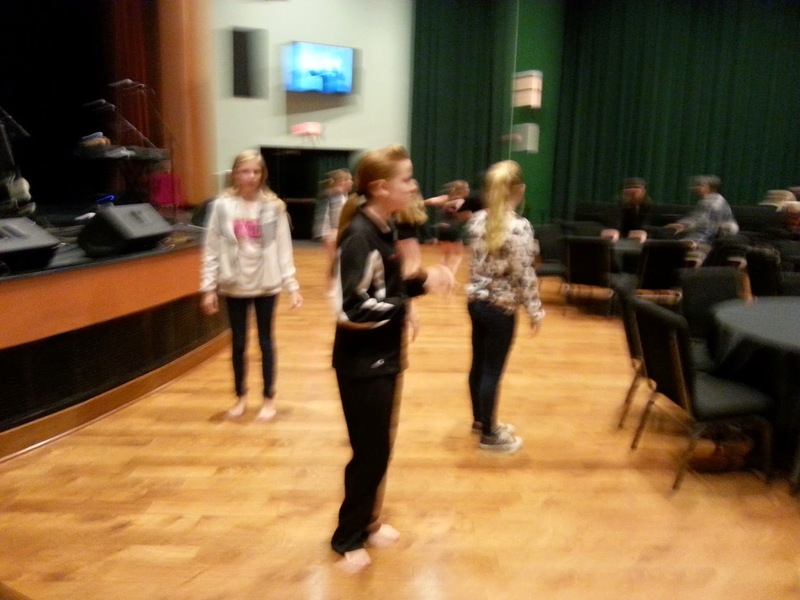 Rather than calling attention to the error, and because blurry photos help to convey the action of dancers, this blog is proudly instituting a new feature: The Fuzzy Series. Here is our Capitol Theater Edition. 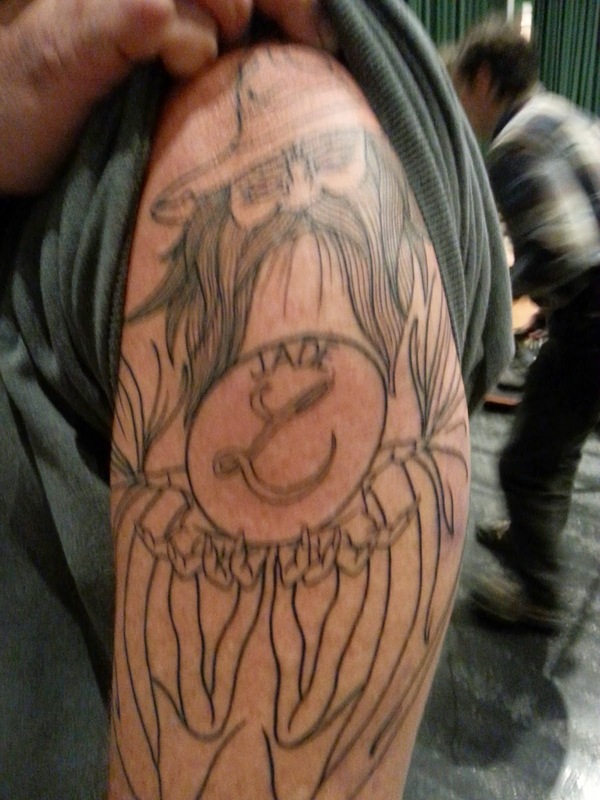 Artwork on the shoulder of our sound man Allan. 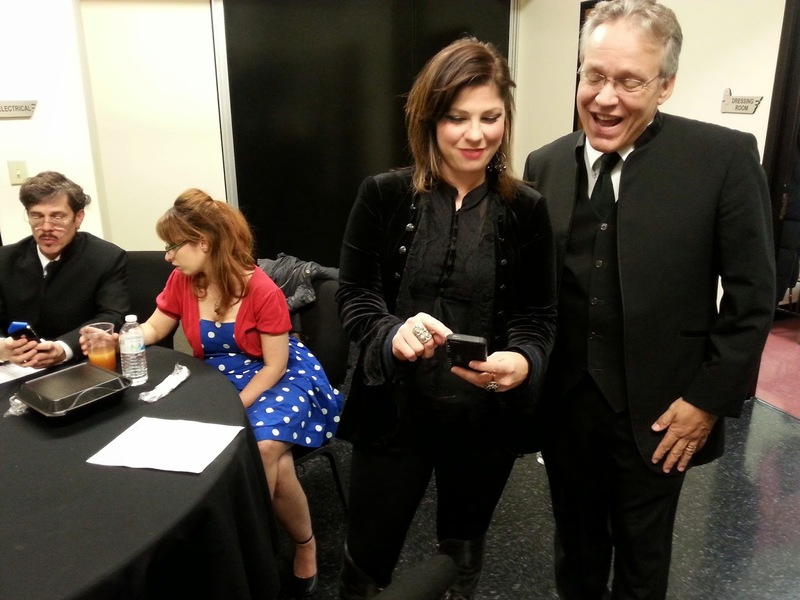 Our host Amy Harris helped us feel at home, with backstage hospitality. 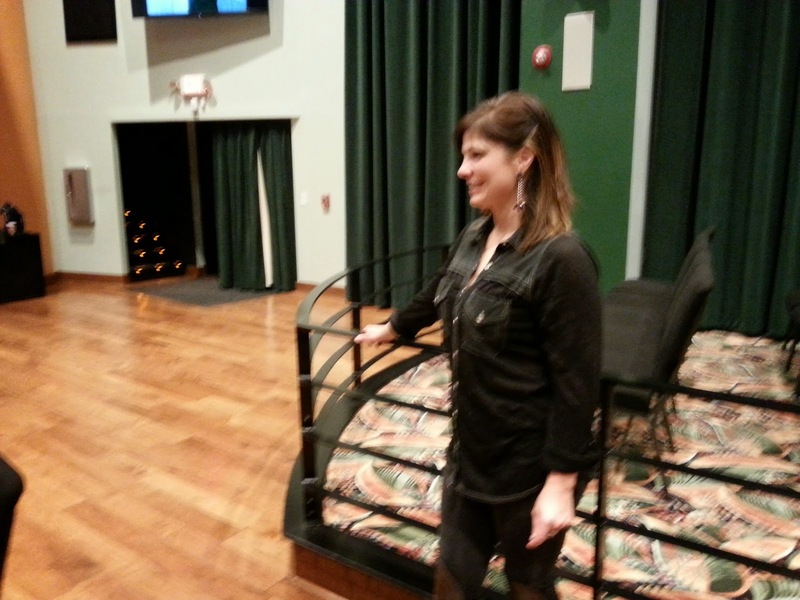 The Capitol Theater was the first time that our new intern Melanie showed up for one of our gigs. 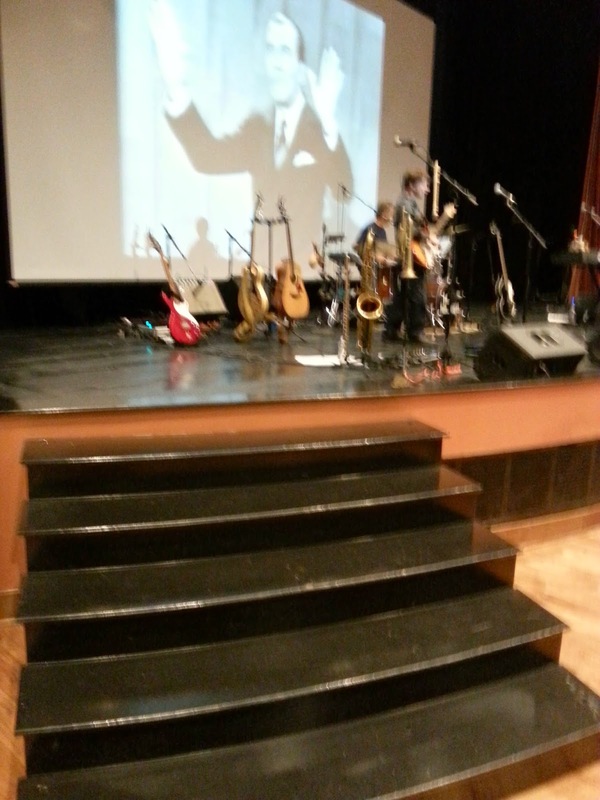 Thanks to Amy, LaTonya, and all the staff at The Capitol Theater, we had a wonderful time and will be happy to return. The WannaBeatles are excited about our upcoming trip to Florida, where we'll be performing three concerts with the South Florida Symphony Orchestra - in Boca Raton, Ft. Lauderdate, and Key West. We will leave for Florida on February 1st, and stay almost a week. We're excited about that trip, and we've been rehearsing many details of the show. But one of the greatest results of the trip has been a new song, "Come to Key West." 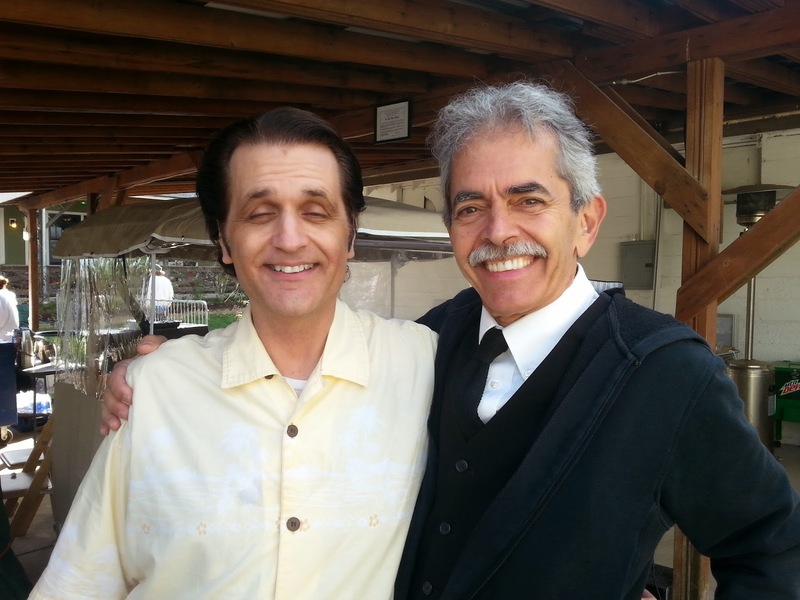 Going to Florida is a major homecoming for WannaBeatle David Toledo, who attended middle school and his first year of high school in Key West, along with a classmate, Sebrina Alfonso, who grew up to become the director of the SFSO. The gigs have been booked for several months, and that gave David time to reflect on what it means to him. With encouragement and feedback from the other WannaBeatles, he expressed those feelings in a song, which has been through our WannaBeatles production process and is now officially released. And here's what the single looks like at its iTunes page, along with other WannaBeatles releases. Hey, while you're there, feel free to check out some of our other songs. 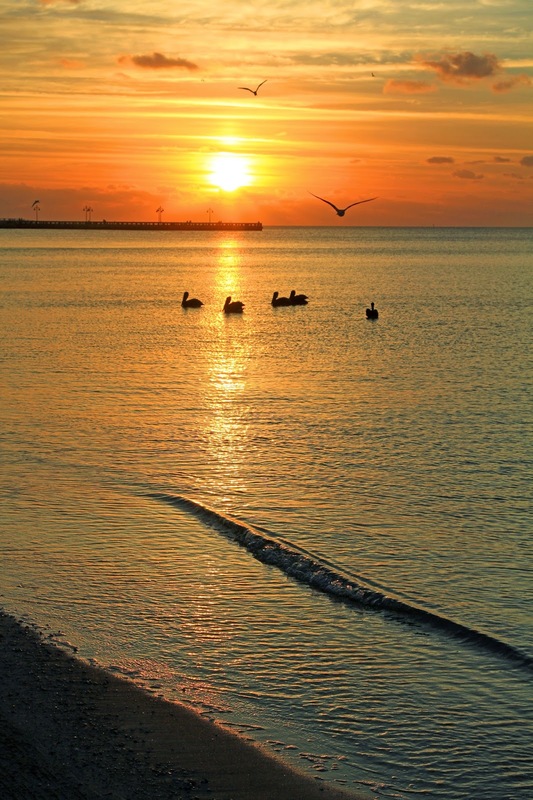 "Come to Key West" is no ordinary song. WannaBeatle David has recorded every note of the track himself (doing a fine job on vocal, drums, bass, keyboards, and guitar; even playing an authentic Puerto Rican stringed instrument called the cuatro.) (Cuatro is Spanish for four, alluding to the number of strings.) 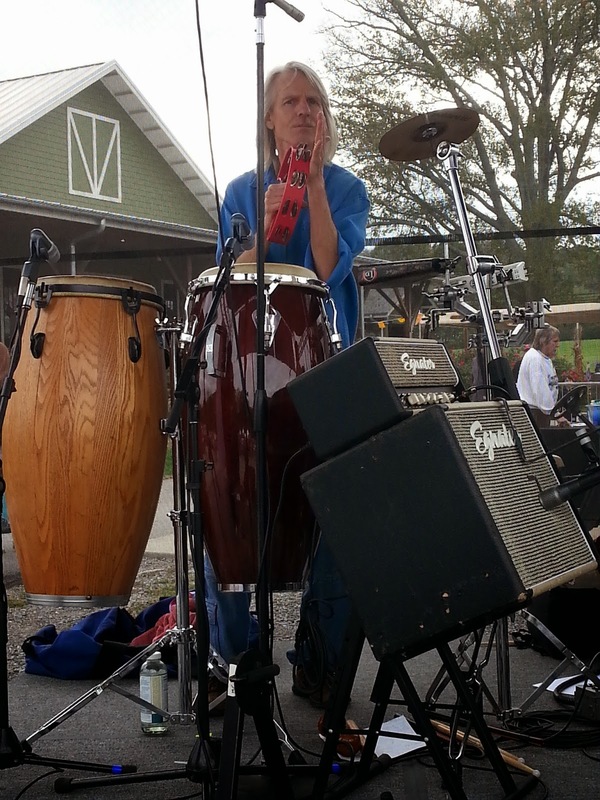 He has added John Santos on congas and percussion. Anticipating the SFSO performance, he has added full orchestration, with strings, brass, woodwinds and percussion. He has created a video that doubles as a home movie, with shots of himself as a middle school music student, and scenes of his grown family visiting Key West. He brought this magnum opus to Dennis's studio, where we added background vocals and mixed it with our engineer Gary Dales. And so now, it's available for everyone to enjoy. Once again, here's one of the many lovely photos from the video that depict David's home town, and help create a beautiful atmosphere for the video. Congratulations to us, but especially to WannaBeatle David, who put so much time, effort, and love into this song. We wish we could take all our fans to Florida. 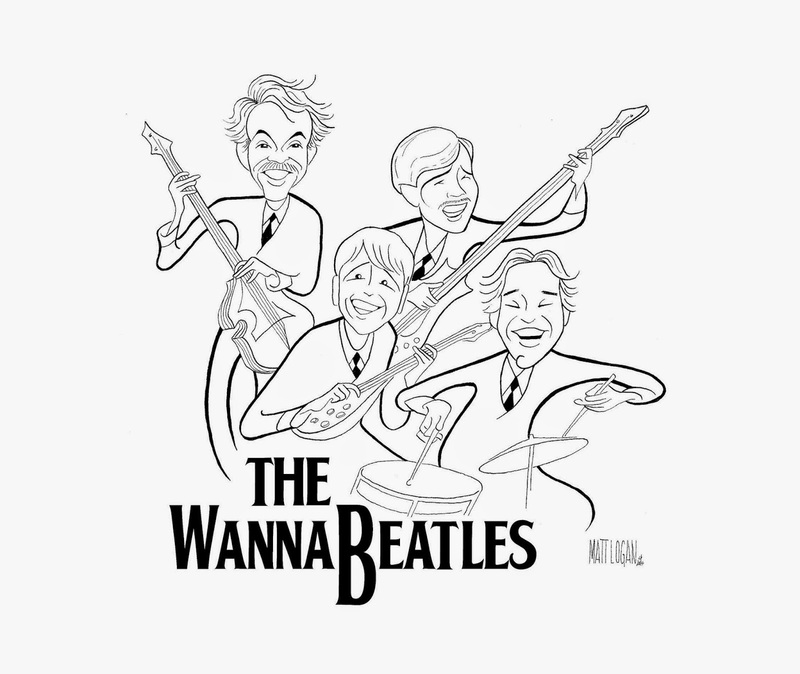 Yes, it's the official WannaBeatles cartoon caricature, as rendered by the inimitable Matt Logan. We have WannaBeatle Nathan to thank for this gift, who has worked with Matt extensively, and was aware of his talent in this area. Matt has other talents too, including theater design, acting and production. He and Jake Speck started and continue to direct the local theater company Studio Tenn, which has produced musicals as diverse as "Hello, Dolly," "Smoky Joe's Cafe," and "A Christmas Carol," at venues as diverse as the Franklin Theater, TPAC, The Schermerhorn Symphony Center, and their permanent new home - Jamison Hall at The Factory in Franklin..
Matt and Jack are both graduates of CPA, the local high school with an exceptional arts department, and an exceptionally high proportion of WannaBeatle participation. In fact, Nathan's own status as a WannaBeatle can be traced to his being discovered by WannaBeatle David at a CPA production. Both Nathan and David have children who attend, or graduated from, CPA. David's wife Alice is a full time teacher there, with a background in musical theater. Matt Logan, a CPA grad, with extensive theatrical credits in New York, has moved back to Tennessee, and continues to help out with occasional theatrical productions at CPA. And so, when Nathan joined the WannaBeatles, he approached Matt about doing one of his "Hirschfeld" style caricatures of The WannaBeatles. Matt was receptive, but also busy with a multitude of projects for Studio Tenn. Anyone looking at the drawing with even the slightest awareness of the world of theater will recognize the influence of Al Hirschfeld, the legendary illustrator who was published widely in New York theater programs and the New York Time for decades. According to a recent article in the New York Times, Hirschfeld "was an exhaustive chronicler of almost every Broadway show and personality of the 20th century. Gish, Gielgud, Minnelli, Steisand - he drew everyone, and everyone wanted to be drawn by him." He died in 2003, at 99. So The WannaBeatles (formed in 2007) never had a chance to be drawn by him. Matt Logan, drawn to the world of theater, was inspired by the Hirschfeld style. He says "I love color, but I'm more intrigued by the relationship between black and white and space. That's something Al Hirschfeld did so beautifully...A line with a hand at the end of it can give you just enough to envision an arm. But if you put color to it, then it becomes about the sleeve rather than the gesture." Matt is humble about the influence. "I would never put myself in the same field as Hirschfeld. I look at him with such awe. It's a language he created. We just try to learn to speak that language in our own way. That sounds like The WannaBeatles' own artistic mission statement, inspired by The Beatles, but only trying to speak the musical language they helped establish. So thanks Matt, for a beautiful connection to an amazing past. We're very glad to be part of your journey. 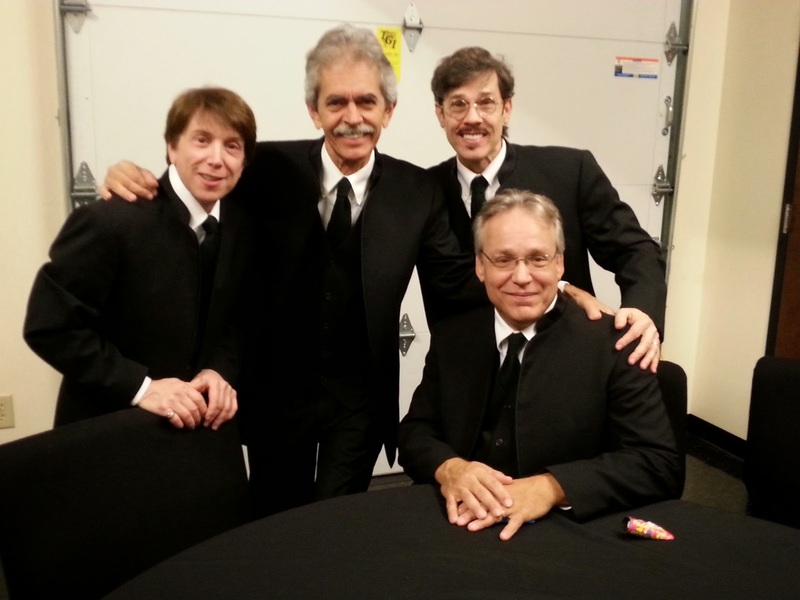 On this first blog of 2015, The WannaBeatles face an exciting period of activity, including a trip to Florida in February to perform three concerts with the South Florida Symphony. Those dates comprise a homecoming for WannaBeatle David, who attended middle and high school in Key West, where his fellow band mate Sebrina Alfonso grew up to be the conductor of the South Florida Symphony. For much of the last few months, David has been writing, producing and arranging a song to capture his feelings for his home town, "Come To Key West," which will soon be released as a new WannaBeatles video as well. 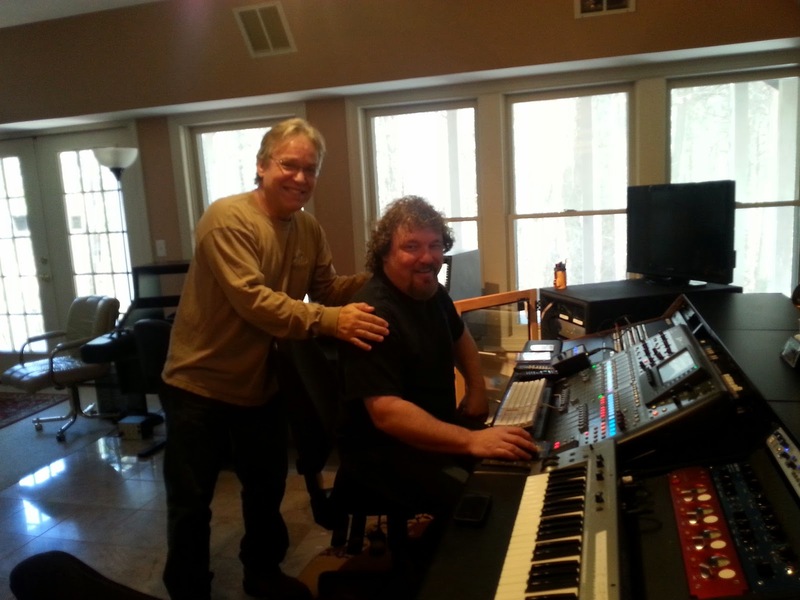 In fact, just yesterday, David was fine tuning the mix with Gary Dales, our engineer. when the video is released. We look forward to a great 2015, and we also look back over a very eventful 2014. We remember this time a year ago, when we were anticipating our first visit to New York and a big show at the Omni Hotel in downtown Nashville on February 9, celebrating the 50th anniversary of The Beatles' first appearing on Ed Sullivan. The trip to New York was our first time on national television, and the Omni show was totally packed with fans, and simulcast over the internet, thanks to the promotional efforts of Hippie Radio, who brought along the American Roots production staff to handle the video. 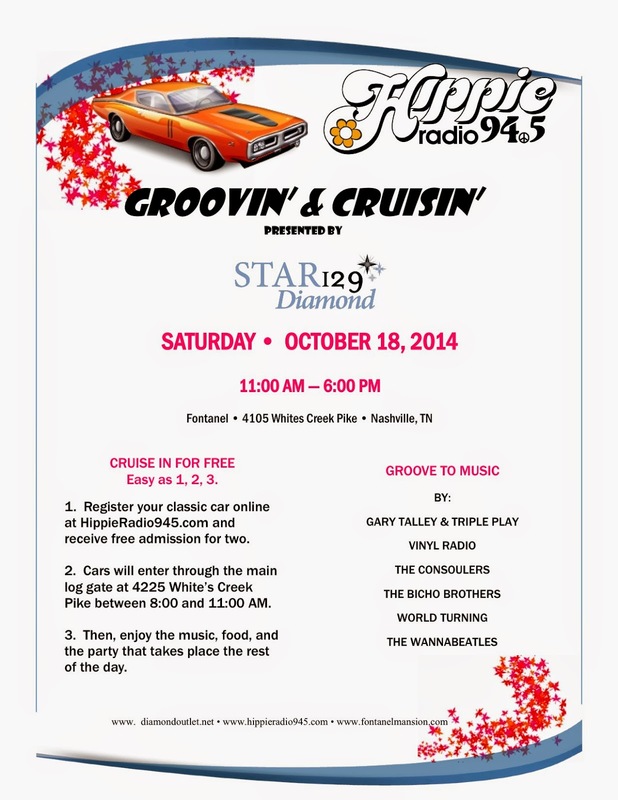 We had a great year with Hippie Radio, from playing their 2013 Christmas party, appearing on the air several times, helping launch a new Beatles-themed weekly show, and appearing at their fall event, "Groovin' and Cruisin.'" That's the subject of this blog. 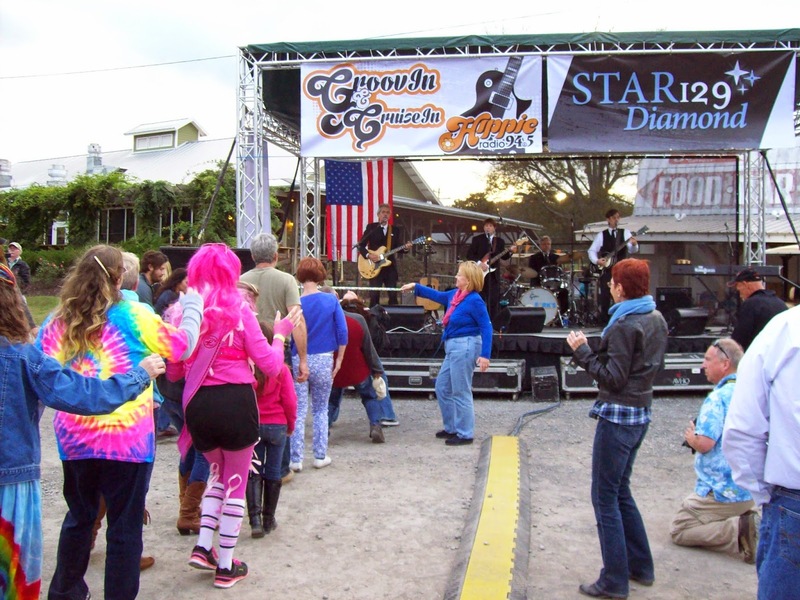 On October 18, Hippie Radio sponsored an all-day music party at Fontanel, with six local bands who specialize in sixties and seventies music playing continuously on one stage. The event was a celebration of the music that Hippie Radio plays, and the sense of community among people who love that music. 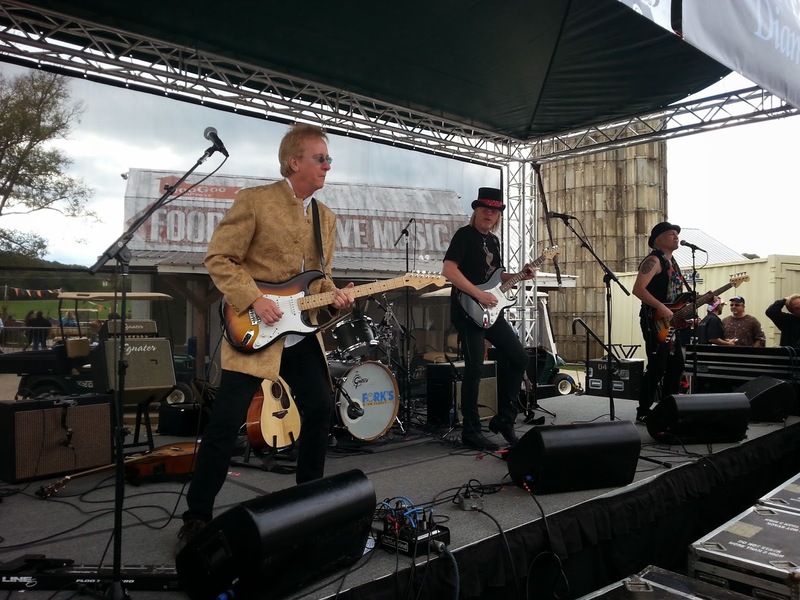 It has become more popular lately as several Nashville bands have formed dedicated to playing songs from the sixties and seventies. Some, like World Turning, who do the songs of Fleetwood Mac, focus on one particular band, while others, like Vinyl Radio, cover a wide variety of rock artists. 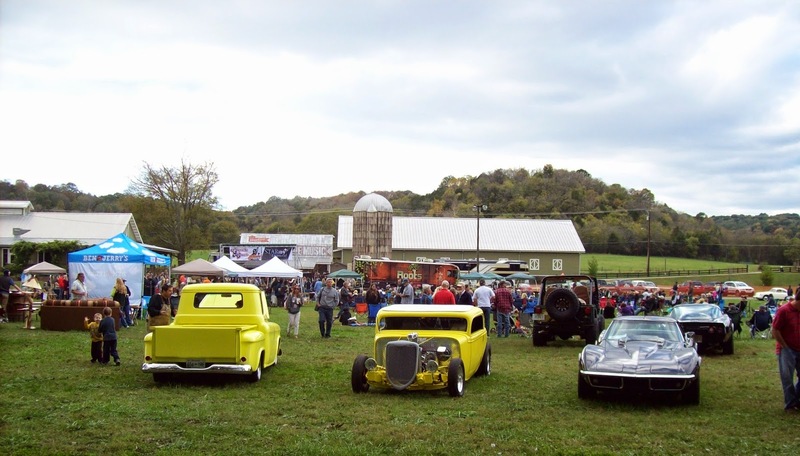 The event was called "Groovin' and Cruisin'" because Hippie Radio also caters to an audience of car buffs, and they were invited to Fontanel to show off their classic cars. The WannaBeatles have become friends with many of the other musicians in these other bands. We're all fans of the same music, and fans of the other bands. 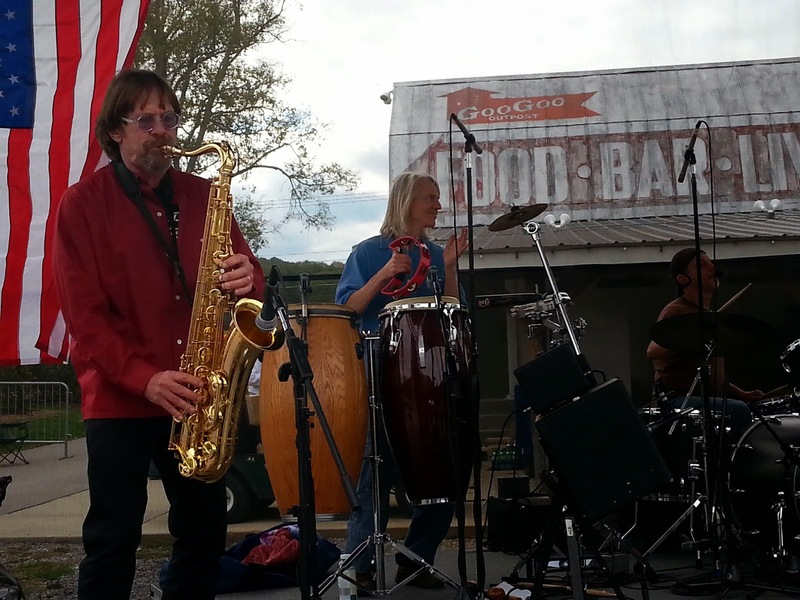 Among friends also playing at Groovin' and Cruisin' were Gary Talley, with whom we had played a benefit a few weeks previously (see Bloggin' Bryan Oct. 7, 2014 "La Hacienda"), John Foster, Ronnie Kimball, and Tim Buppert. 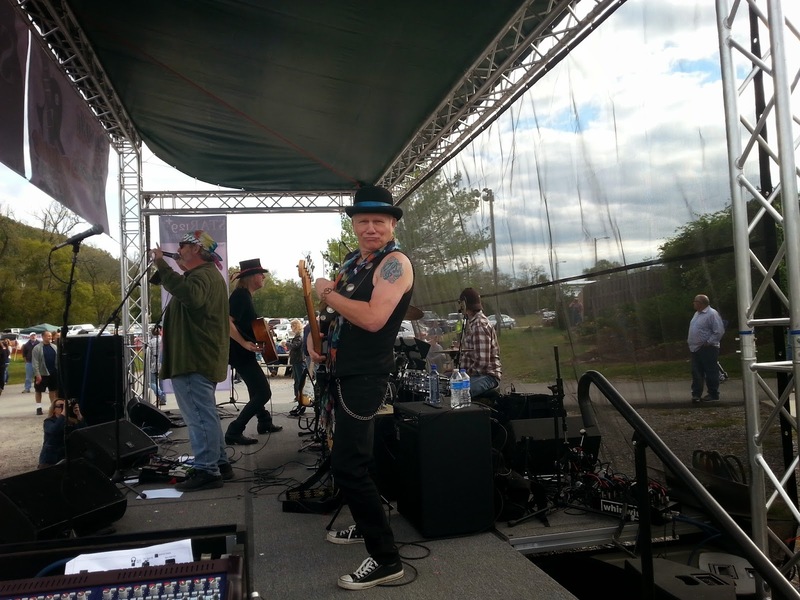 John Foster, a super talented guitarist and singer, opened for us at the Omni show back in February. 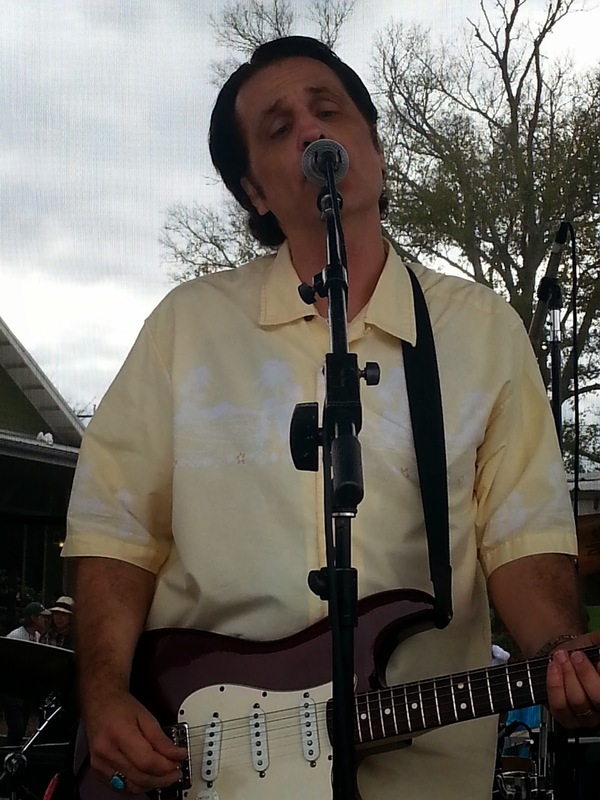 He's toured with the Beach Boys and released several solo CDs, and has played plenty of Beatles songs as a member of Fab. 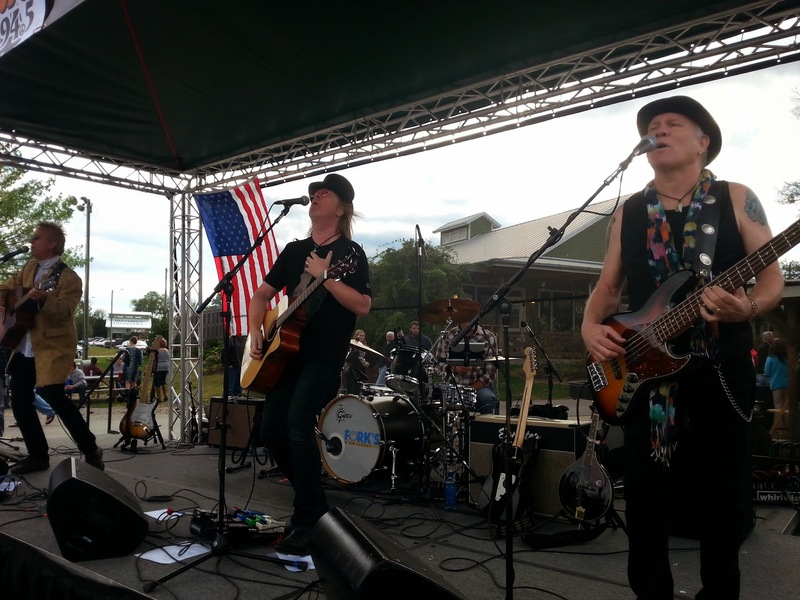 In addition to playing in The Consoulers, he also started the Fleetwood Mac tribute band World Turning, which meant he was performing in two bands that afternoon. Likewise, TIm Buppert, who's been playing drums and singing with Fab, plays with two other bands: The Consoulers and Vinyl Radio. 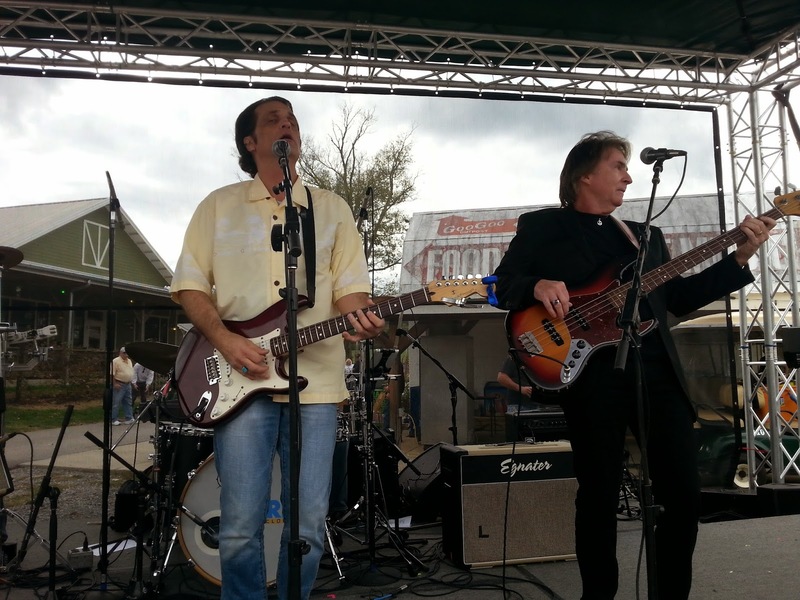 Ronnie Kimball, like Tim, known in Nashville as a studio veteran, revived his bass chops to form Vinyl Radio with Tim, Chip Martin and Ron Wallace. 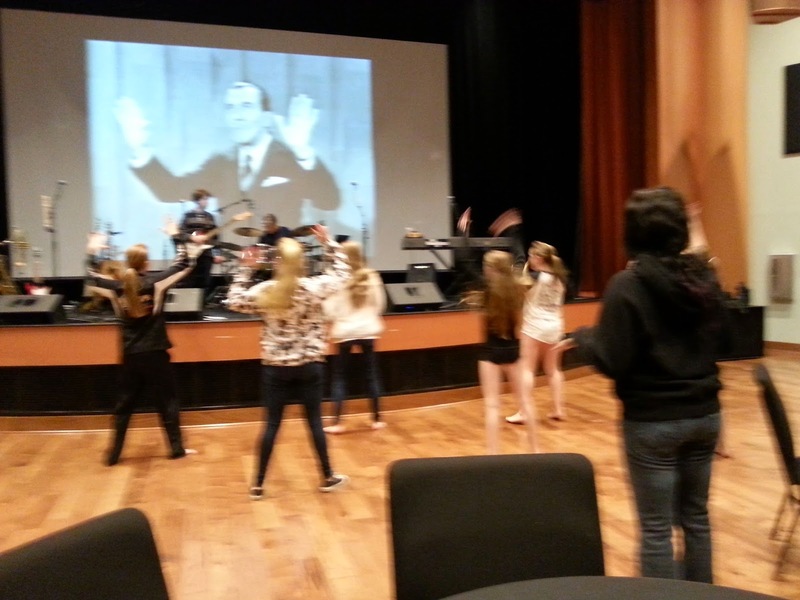 And so, in addition to playing this fun event, we had the chance to show up early and hear a bunch of great bands. Unfortunately, we didn't get there early enough to hear Gary Talley's band, or World Turning, or The Bicho Brothers. When we arrived, The Consoulers were playing. Jim Hoke, one of Nashville's finest sax players and creative band leaders (Aqua Velvet) was sitting in on sax. 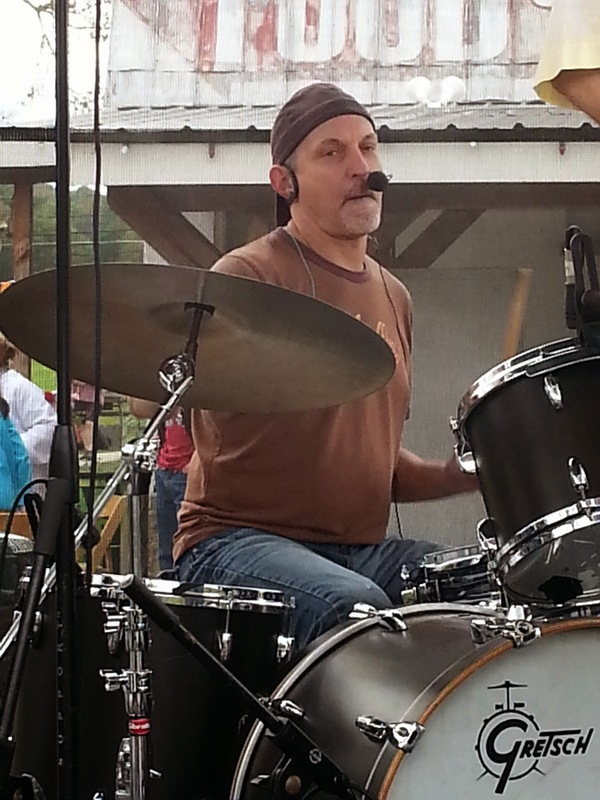 Here's Tim Buppert on drums. Of course, there were classic cars. 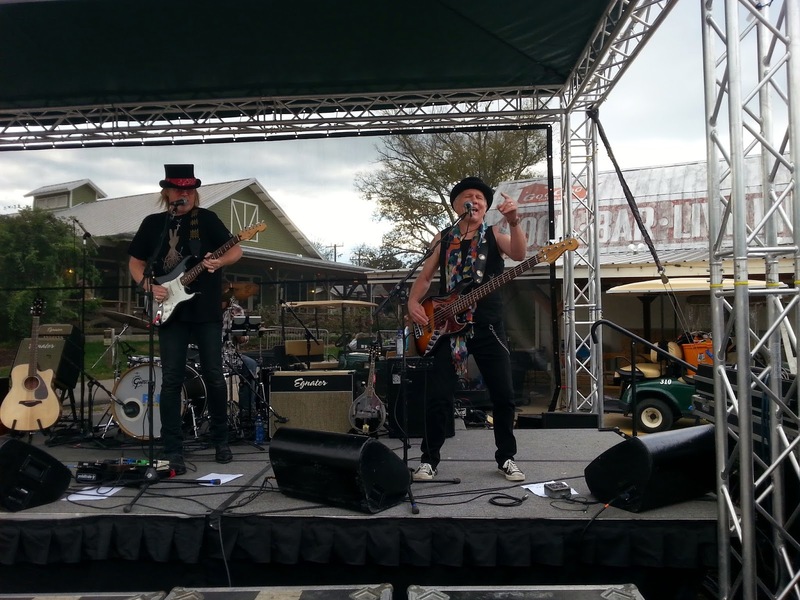 It was great to see our friends, like "Hippie Barb," the general manager of Hippie Radio, who booked us as the closing act for the event. 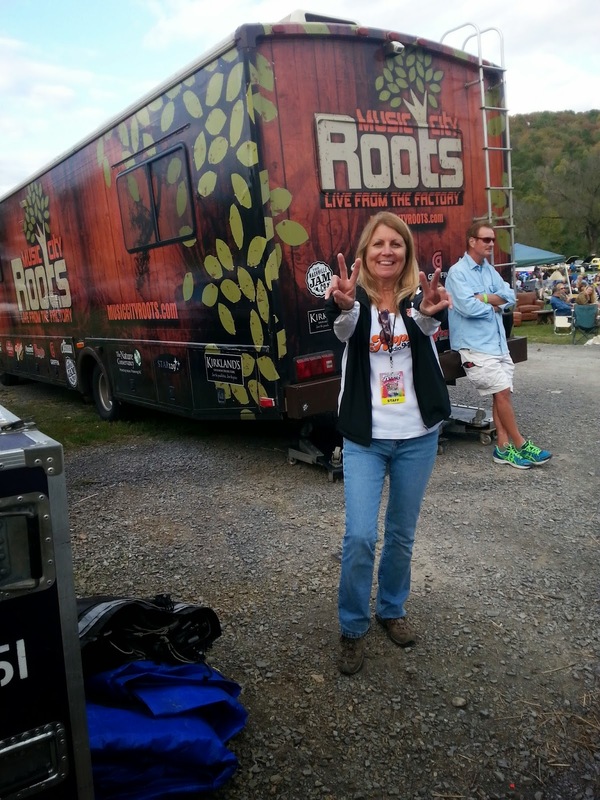 The American Roots Radio truck is the same one which had provided the video production when we teamed up with Hippie Radio earlier in the year at the Omni Hotel. 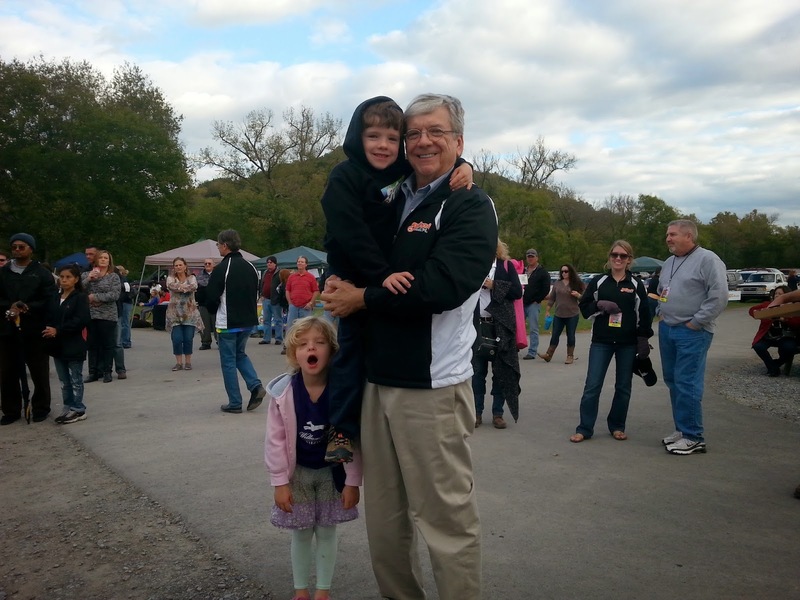 And of course, Richard Courtney, who this year has grown from being not only a Beatles author ("Come Together: The Business Wisdom of The Beatles") but a Beatles radio show host ("From Me To You," on Sunday mornings at 9:00 am on Hippie Radio) was there with his twins. 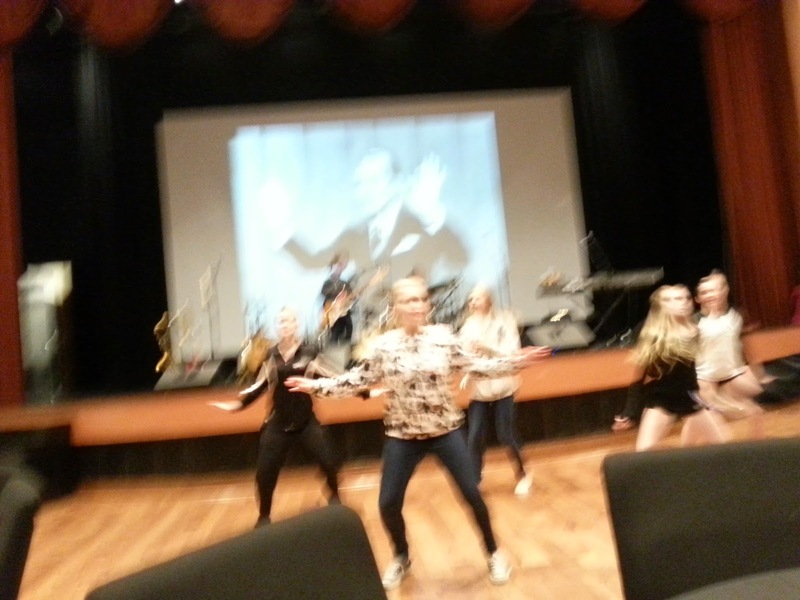 Meanwhile The Consoulers were rocking'. I got to hug John Foster backstage. Sorry about the closed eyes, John. I still haven't learned to use that "burst shot" feature on my cell phone. 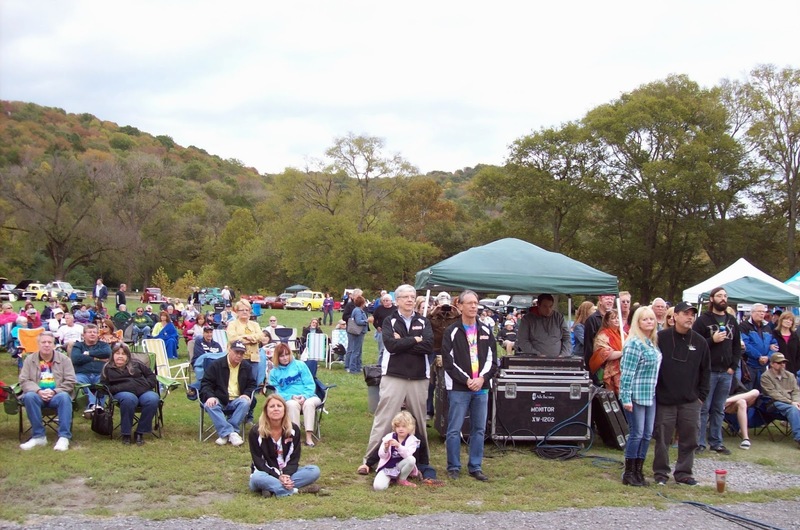 Here's another shot of the audience, including Barb, Richard Courtney, and two members of Vinyl Radio. 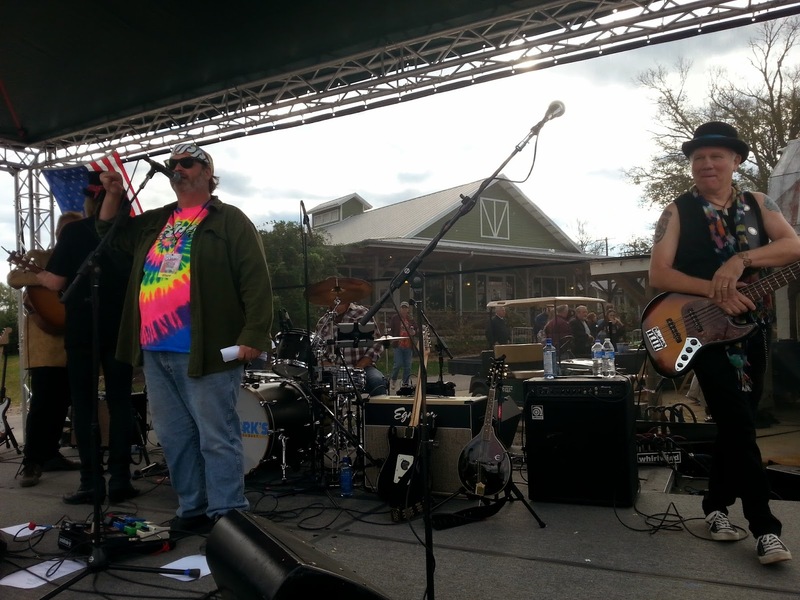 After The Consoulers came Vinyl Radio, introduced by Hippie Radio's Whit Hubner, in his psychedelic tee shirt. Here's Chip Martin, all dressed up in sixties flavored coat & shades. Here they are all lined up, rockin'. 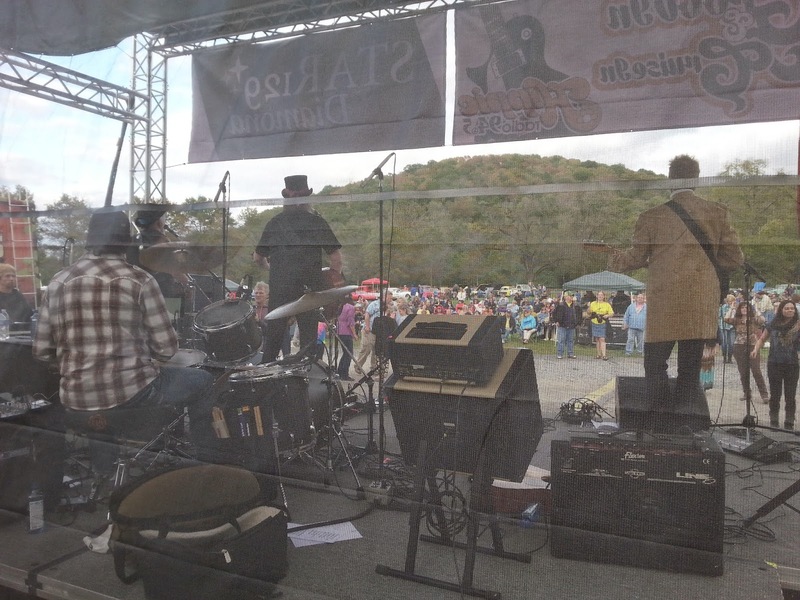 We enjoyed watching them from backstage. 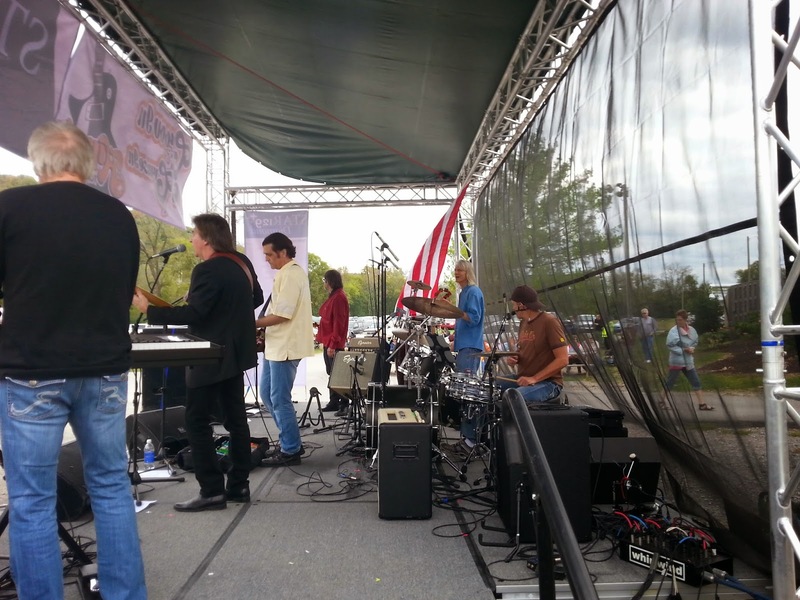 Getting six bands on and off stage quickly meant thinking strategically about moving gear. 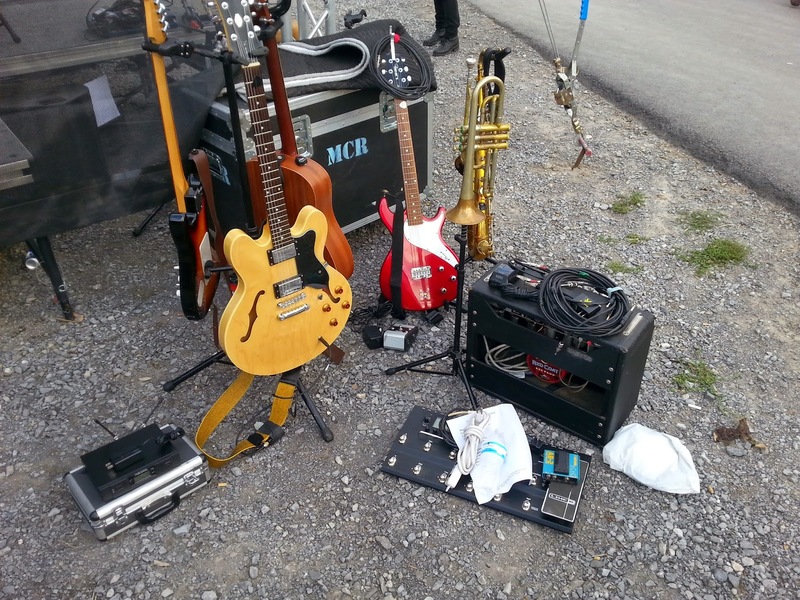 Here's my stuff, and Dennis's, parked in the gravel, right behind the stage, ready to be moved quickly after Vinyl Radio's show. Our friend Richard Courtney gave us a customized announcement to introduce out set. Naturally, Bloggin' Bryan was busy playing during the WannaBeatles set, but The Good Yoko used my cell phone to capture some folks dancing while we played. 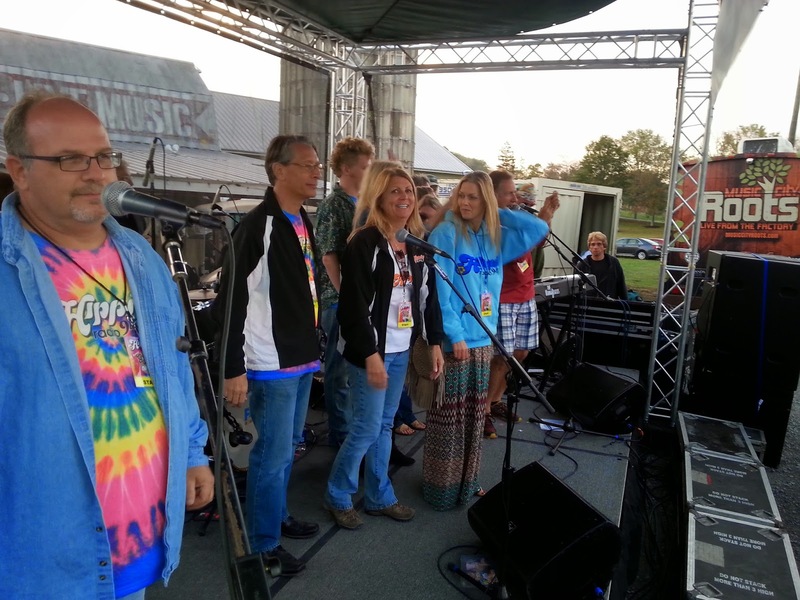 Hippie Radio's founder Tony was there, along with the entire staff, who gathered onstage to say a final goodbye at the end of the day. 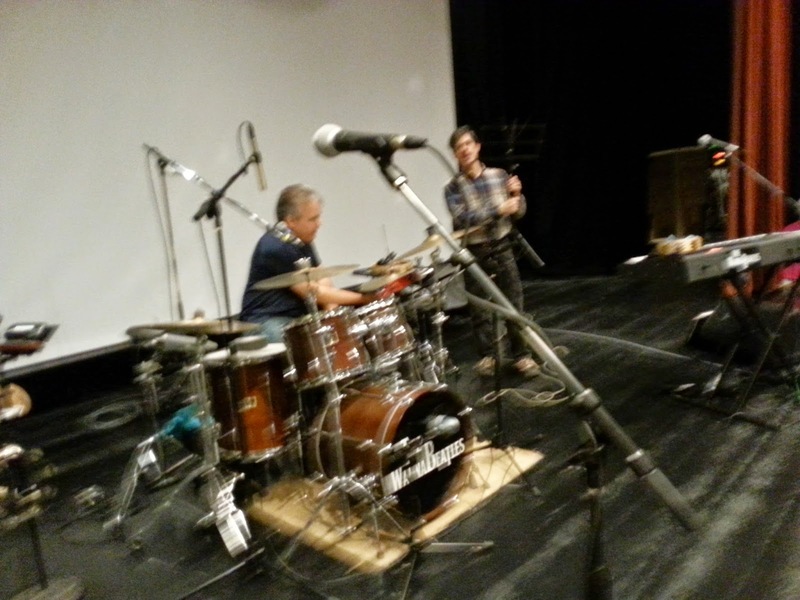 It was a very fun day, filled with music. 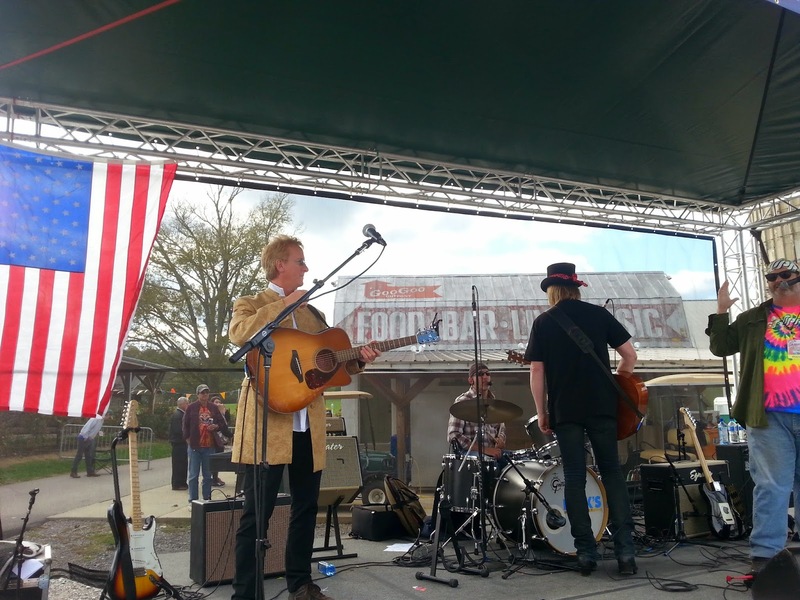 We're happy to be friends with Hippie Radio, and all the other Nashville bands having a good time playing such fun music.